Jason pretends he’s other people as he plays all the instruments to create energetic rock with unexpected turns. He started in the late 80s as a short-stint side-man with California bands The Three O’Clock and Jellyfish but then teamed with soundtrack-guru Jon Brion to form The Grays and since 1996 has released four solo albums and a bunch of other things playing on albums by Beck, Aimee Mann, and Paul McCartney, and sometimes acting as one-man backup band and producer for other artists. We discuss “Sincero Amore” from Make It Be , his just-released 2013 collaboration with R. Stevie Moore, “The Lie in Me” from his solo album ALL QUIET NOISE ON THE FLOOR (2009), and “Both Belong,” by The Grays from Ro Sham Bo (1994). We conclude by listening to “Horror Show,” also from Make It Be. Opening/closing music: “I Live” from Jason Falkner Presents Author Unknown (1996). 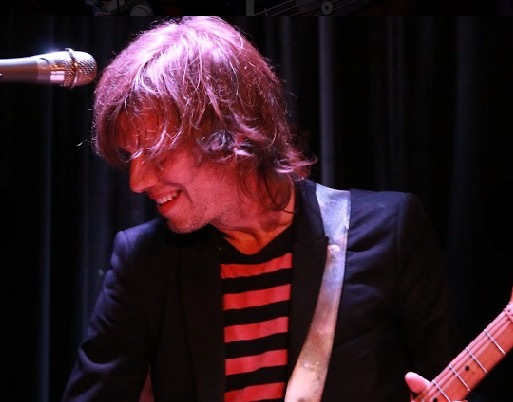 For more, see jasonfalkner.com. Watch a full, live solo show from Jason in 2016. Here’s his big single with fancy video with The Grays, and here’s a more recent video for a song he recorded for The Informers soundtrack. For a very long interview covering Jason’s whole band history, check out this 2013 episode of the What Brings Us Together podcast. Here’s Jason playing live at SXSW with R. Stevie Moore. The best song of of their album together is Steview’s “I H8 Ppl.” Check out R. Stevie Moore’s bandcamp page to get a flavor of his huge output. The “warm-up” album that Jason was involved with to Make It Be was Stevie’s collaboration with Ariel Pink, Ku Klux Glam . Photo by Todd V. Wolfson.